The report on the meetings “Beyond the Physical: Barriers to Cultural Participation” is now available in English and in Portuguese. The mettings took place in 2017 with the support of the Calouste Gulbenkian Foundation. Our new digital publication is available to download in Portuguese and in English. 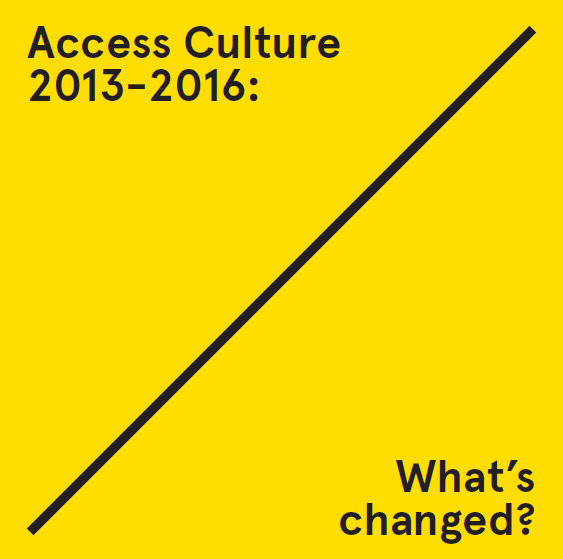 Access Culture 2013-2016: What’s changed? By registering the testimonies of collaborators, partners, trainees and members we aim to show what has been done and what has changed since this association was created in 2013. It is our way of saying Happy 2017! Should you like to ocasionally receive news in English, please write to us indicating you email address.